In our previous blog post we had discussed How to Unlock and Jailbreak iOS 5.1 for iPhone 4, iPad, iPod 4G, iPhone 3GS & iPod 3G with Redsn0w 0.9.10b6 method and by using UltraSn0w method and now we have yet another method and procedure to Unlock and Jailbreak iOS 5.1 Semi Untethered with Sn0wbreeze 2.9.2 for iPhone 4, iPad, iPod 4G, iPhone 3GS & iPod 3G. Sn0wbreeze 2.9.2 is actually an Untethered Jailbreak method to Unlock and Hack iOS 5.1 running devices. iH8sn0w the well-known developer and hacker has released Sn0wbreeze 2.9.2 to Jailbreak and Unlock iOS 5.1 running devices like Apple iPhone 4, iPad, iPod 4G, iPhone 3GS & iPod 3G. Sn0wbreeze has currently released its Apple Jailbreak tool only for Windows users (Mac users will soon get update) which allow users to Jailbreak iOS 5.1 running devices. As we know Apple has killed and stopped the Untethered Jailbreak exploit "Corona" in its new iOS version iOS 5.1 so now Sn0wbreeze 2.9.2 only brings iOS 5.1 tethered jailbreak on non-A5 devices (iPhone 4, iPad, iPod 4G, iPhone 3GS & iPod 3G) which means that you have to connect your iDevice with your PC every time you reboot it. iPhone 3GS old-bootrom users are untethered on 5.1/9B176 (as usual). Bug Fixes (Specifically with the iPad baseband and iPhone 2G). Re-added the iPhone Dev-Team’s iPhone 2G permanent unlock ‘BootNeuter’. Why No Support for A5 chipset devices "iPhone 4S / iPad 2”? A low level (DFU/iBoot/LLB) exploit is required to start the restoration of custom IPSWs. The past two jailbreaks (JailbreakMe & absinthe) for the A5 worked within iOS itself. These exploits are not capable of bringing the iDevice into a state where it will accept custom IPSWs. Therefore, an A5 device cannot currently downgrade to an iOS revision that Apple is no longer signing (even with SHSH blobs) and it cannot preserve the baseband when updating to a newer iOS revision. Now let’s start the Tutorial and Guidelines to Jailbreak iOS 5.1 with Sn0wbreeze Untethered method to Unlock iPhone 4, iPad, iPod 4G, iPhone 3GS & iPod 3G. 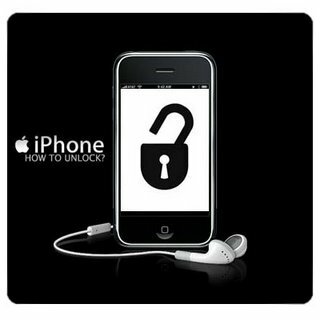 How to Jailbreak iOS 5.1 with Sn0wbreeze Untethered method to Unlock iPhone 4, iPad, iPod 4G, iPhone 3GS & iPod 3G? Download the tool package provided above and then follow the following simple steps to Jailbreak and Unlock Apple iOS 5.1 with Sn0wbreeze Untethered for iPhone 4, iPhone 3GS, iPod Touch 4G, iPod 3G and iPad. Step 1: Open Sn0wbreeze, then click the blue arrow. Step 2: Now SnOwbreeze 2.9.2 will ask you to browse fro an IPSW, Click on “Browse” then point it to iOS 5.1 ipsw file. Step 3: After Sn0wbreeze verified your ipsw file you’ll see the below screenshot, click the blue arrow. Step 5: Click yes if you wanna Hactivate your iPhone. Then Sn0wbreeze 2.9.2 will now cooks your custom pre-jailbroken IPSW file (it will take some time, don’t worry). After finishing, you will find the custom 5.1 firmware waiting for you at desktop. Step 6: Connect your iPhone to your computer Via USB, Open iTunes, Then hold the “Shift” button and click on “Restore” and point iTunes to the custom IPSW created by Sn0wbreeze 2.9.2 on your desktop. Step 1: Now, open Cydia > Manage > Sources. Step 3: Search for SemiTether and install it then reboot your device. Step 4: Done! Congratulations, now you have protected your device and you will never stuck on Apple logo again and your Apple device is now Untethered, Jailbreak and Unlocked with Sn0wbreeze. Enjoy! BEWARE: The above Content and Tutorial was provided by greenpois0n and we at TechGlobeX don’t support or promote piracy in anyway. This article is purely for informational purposes only. Downloading and installing cracked apps are illegal. The whole purpose behind above tutorial and guidelines is for App Testing and we encourage peoples to purchase original app directly from App Store.